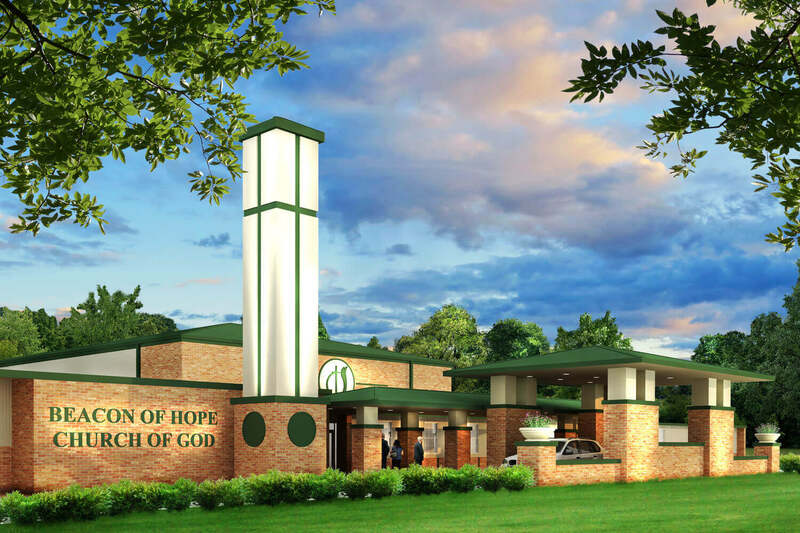 The Beacon of Hope Church of God project was to design a new entry for the existing worship center. Beacon of Hope repurposed a former National Guard armory as their church facilities. The congregation expressed two main concerns. First of all, the building was not recognizable as a worship center. Second, the Church lacked a prominent front entry. To address the first concern, the design includes a new illuminated tower. 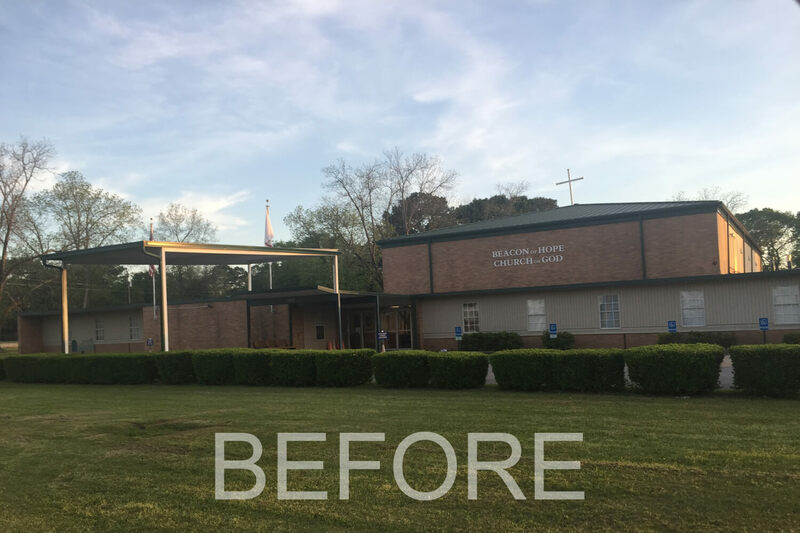 This approach offered a cost conscious option to make the Worship Center recognizable. To address the second concern, Foshee Architecture designed a covered drop off and breezeway to help define the entrance. Most noteworthy, the entrance door remains in the same location. Consequently, the interior did not need expensive reconfiguration. Overall, the design repeats some of the architectural features existing on the building to adress the congregation’s concerns. St. John Baptist Church is a new worship center in Pike Road, Alabama. 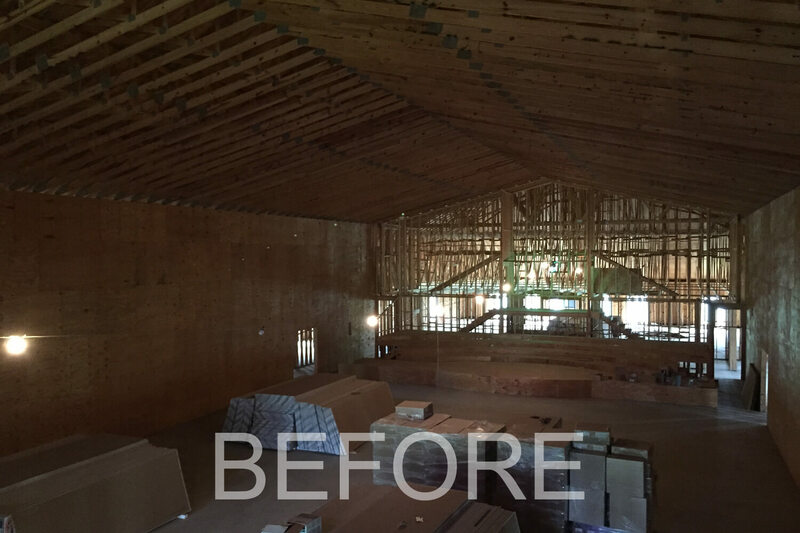 Although the Church began construction several years ago, the building was never completed. Only the exterior shell was finished. 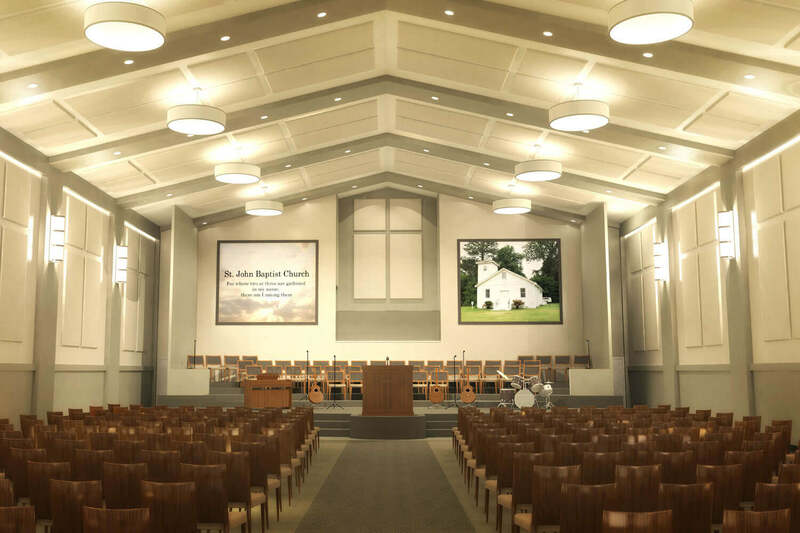 As a result, the congregation hired Foshee Architecture to design the interior of the Church. 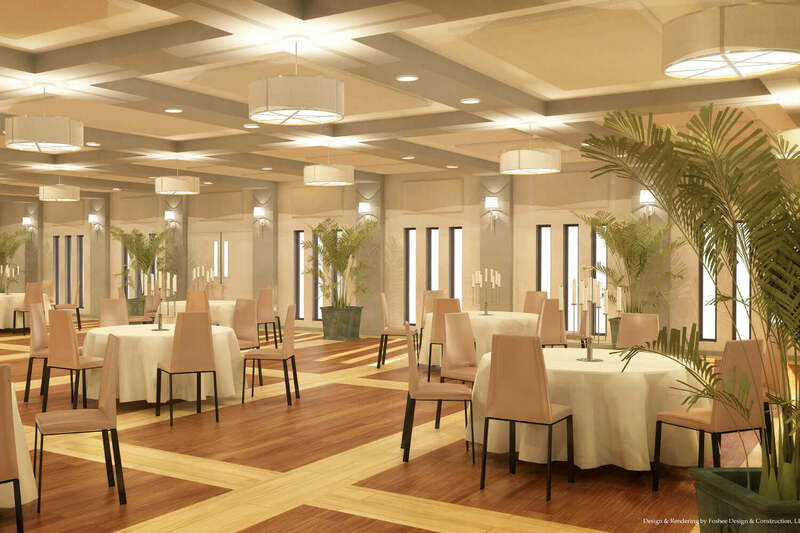 The two focal areas include the Sanctuary and the Fellowship Hall. 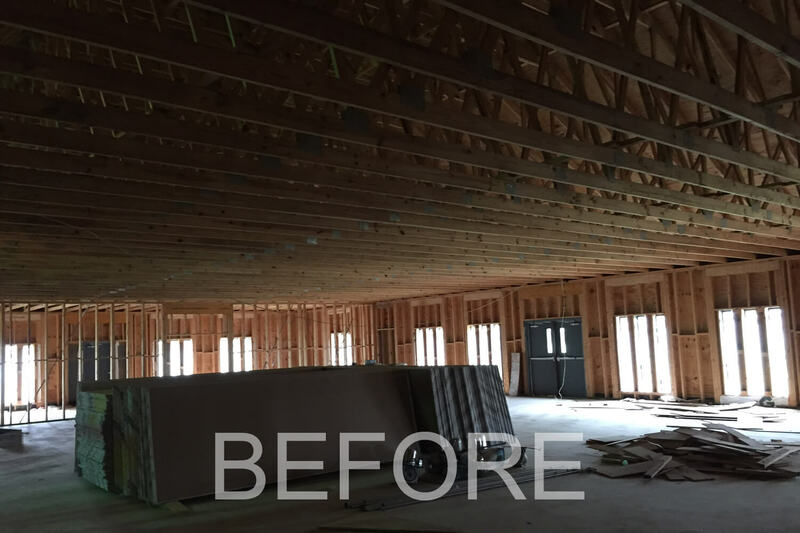 In both spaces, we provided lighting fixtures to help define the space. In addition, we designed inexpensive acoustical panels to reduce echo and improve sound performance. To provide character in the space, we used subtle color changes. Also, the plans show simple beam and column details. Finally, the flooring provides interest and detail. The inexpensive flooring materials include vinyl plank and carpet tiles.